Home » Greenroom » A Simple Way To Keep the Dreaded Flu at Bay! A Simple Way To Keep the Dreaded Flu at Bay! With winter approaching fast, it is time for the dreaded cold and flu season to become active in full swing. 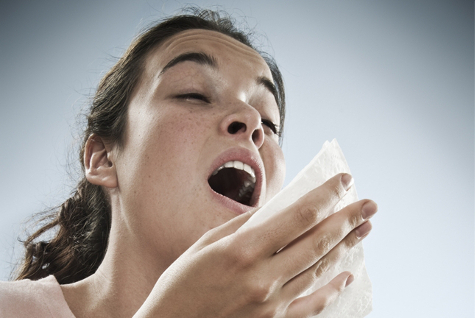 The common cold, including chest cold and head cold, and seasonal flu are caused by viruses. Flu symptoms are similar, but include fever, headache and muscle soreness. With new strains of the flu virus coming out and circulating each year it is time to build your defences against these bugs and to dodge the bullets before they strike! A rigorous hand hygiene routine such as with alcohol based hand sanitisers is your best bet against this dreaded disease. Don’t let absenteeism cause havoc with your work schedules. Install the hand sanitiser dispensers from Alsco! Influenza is commonly known as the ‘flu’. It is an extremely contagious respiratory tract illness caused by influenza A or B viruses. The flu appears most frequently in winter and early spring. It has symptoms which are similar to the common cold except that they are more severe and much worse. Along with sneezing, cold, congestion and cough, flu will also have symptoms like fever, body aches, fatigue and weakness. An important aspect of the flu is the ability of the virus to mutate into new and novel subtypes as the episodes of the Avian Flu and the Swine Flu (H1N1) have clearly shown us. What Is the Impact of the Flu? The influenza virus attacks the body by spreading through the upper and/or lower respiratory tract. The flu can cause complications that lead to increased physician visits, hospitalisation and in the worst case may even lead to death. The impact of influenza must be considered in terms of not just the number of deaths caused by it each year, but also the number of days people are absent from workplaces such as yours because of the disease. Influenza also causes pressure on the health care system. The flu virus spreads from person to person through respiratory secretions. Groups of people who spend large amounts of time in close contact with each other are at maximum danger of catching the flu. Such people could be together in a workplace, in a classroom, at a concert or even in hospitals and nursing homes. Flu is spread when you inhale tiny droplets from the air which contain the flu virus. These droplets would have been sneezed or coughed out by a co-worker who has the flu. Another way is when you touch a surface or a machine which has been contaminated by an infected person. In this case, if you your contaminated hands touch your mouth, nose or eyes, then the virus enters your body infecting you too. The Centers for Disease Control and Prevention says keeping hands clean through improved hand hygiene is one of the most important steps in order to avoid getting sick. They recommend the use of soap and clean running water to clean hands properly. Another alternative is to use an alcohol-based hand sanitiser that contains at least 60% alcohol to clean hands of germs and flu causing viruses. Hand sanitisers are particularly useful in situations where soap and water may not be available or cannot be accessed easily. Alcohol based hand sanitisers quickly reduce the number of microbes on hands. These include the dreadful influenza viruses. That is why a frequent and thorough hand hygiene routine is the best way to try and prevent you from catching the flu. Studies have found that sanitisers with an alcohol concentration between 60–95% have the highest efficiency against viruses and other microbes. Further, sanitisers may contain emollients which do not cause skin damage like irritants in soaps and detergents. When should you sanitise your hands? For an effective hand hygiene routine, it is essential to constantly keep washing and sanitizing hands. Everytime they sneeze, cough or blow your nose. Each time they visit the washroom. In Kitchens – Before, during and after preparing food. In Restaurants – Before and during food service. In Nursing Homes – Before and after caring for someone who is sick. In Nursing Homes – Before and after treating a cut or a wound. At Day Care Centers – After changing diapers or cleaning up a child. At Animal Care Centers, Veterinary Clinics – Everytime you touch an animal, animal feed or animal waste. In the Food Packaging Industry – Before, during and after preparing and packaging food. It is important to follow the prescribed routine for sanitising hands. If this is not followed, all the germs will not be killed. Apply the recommended amount of the sanitiser to the palm of one hand. Read the label to know the recommended amount or else apply about the size of a dime. Be mindful not to use less or you may not eliminate all the bacteria. Rub both your hands together. Ensure that the product covers the skin all over your hands and fingers. Keep rubbing all over till the sanitiser has dried off completely. Resist the temptation to hurry through or to dry off remaining sanitiser using a paper napkin or any other means. A study (Kampf G 2010) to determine the efficacy of alcohol based hand cleaning products found that these products typically require more than 30 seconds to dry them off completely. Therefore, people were likely to apply only small amounts. Small amounts, however, failed to meet the efficacy requirements. It is important to use sufficient volumes and to not wipe off the sanitiser before it has dried completely. Alsco has a very powerful sanitiser that sanitises your hands effectively and helps in keeping you disease free. It has a quick drying action so that your hands can be sanitised without the use of a hand dryer or if clean towels are not present. The concentrated sanitiser is economical in use. All you need to do is to click here and fill up the enquiry form to know more about Alsco’s managed sanitiser rental schemes tailored just for your workplace requirements. For peace of mind make friends with the beneficial Alsco sanitiser.